Do you love our four legged friends? Then this could be the perfect addition to your Nomination Classic bracelet. Handmade in Italy, this stainless steel charm has a delightful dog crafted from 9ct rose gold. https://www.johngreed.com/nomination-steel-and-9ct-rose-gold-dog-charm 131364 Steel & 9ct Rose Gold Dog Charm https://www.johngreed.com/media/catalog/product/n/c/nc5419_0_1.jpg 15 15 GBP InStock /Women /Men /Women/Gifts/Occasions/Mother's Day Gifts /Women/Charms /Women/Brands/Nomination /Women/Brands/Nomination/Nomination Charms /Men/Brands/Nomination /Women/Rose Jewellery /Women/Gold Jewellery /Men/Men's Stainless Steel Jewellery /Men/Brands/Nomination/Charms /Women/Gifts/Themes/Animals /Women/Gifts /Women/Gifts/Occasions /Women/Brands /Men/Brands /Women/Gifts/Themes /Women/Women's Events /Women/Women's Events/Spring Edit Do you love our four legged friends? 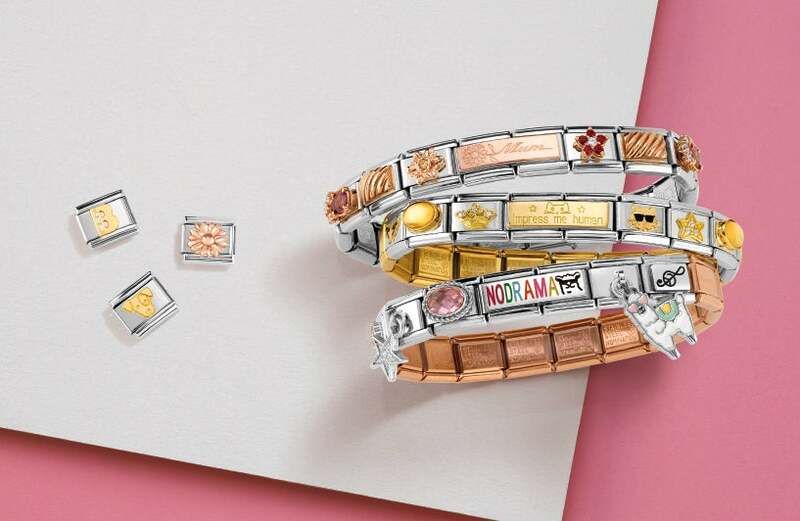 Then this could be the perfect addition to your Nomination Classic bracelet. Handmade in Italy, this stainless steel charm has a delightful dog crafted from 9ct rose gold.